This substantial property is positioned within a secluded part of the development, opposite open green space. Designed with the attention to detail that Ede Homes are renowned for, the kitchen come dining room offers impressive bi-fold doors that lead out on to the garden. This characterful, four bed property has two ensuite bathrooms with a large fitted wardrobe in the master bedroom. To register your interest in The Westcott, Plot 11 and/or to arrange a viewing, click the button below and fill out the form. 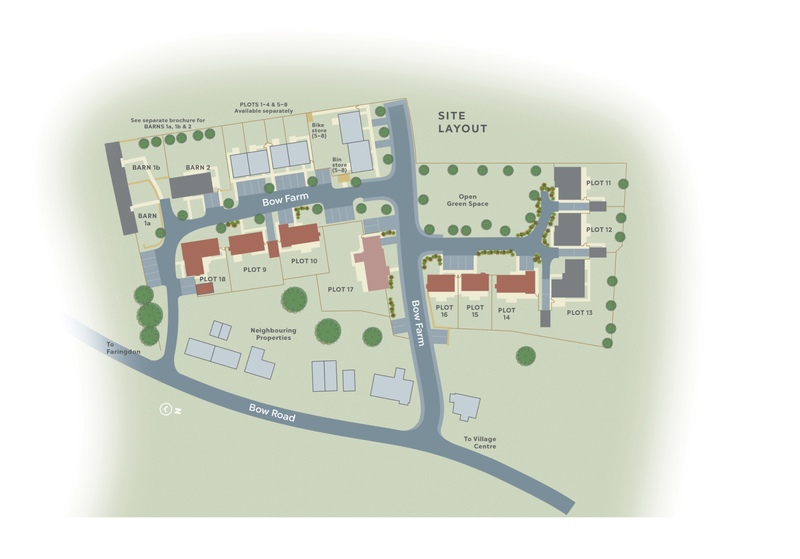 The Westcott, Plot 11 is part of the Bow Farm development. For more information click the button below.